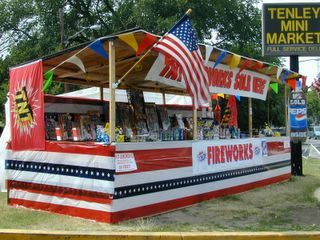 This is the fireworks stand I mention in my little radio rant-let today. Man, these guys carry everything! Evil siren! I will not heed your call! I felt terrible for the woman working the stand right then. The heat index was 105F, and when I went up to ask her if she minded if I took some snaps, she looked like she was melting into her chair. I went into the mini market to actually buy her a bag of ice to say thanks - I figured she could have applied the cubes to her body, like an ER doc trying to lower someone's temp fast. Sadly, the store was all out of ice (surprise, surprise on a day like last Tuesday.) 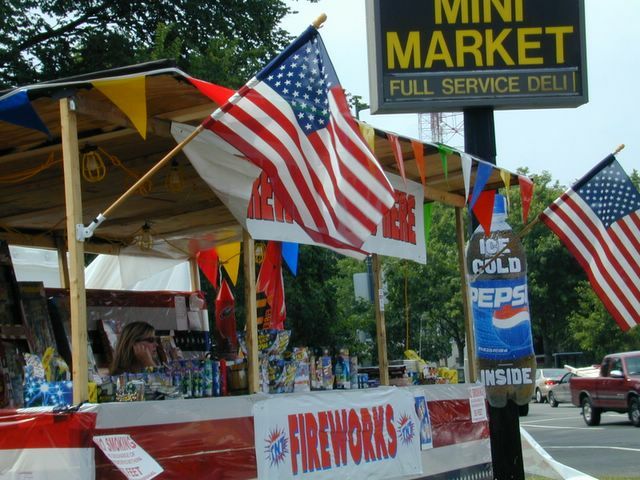 Actually, the mini market could have used an industrial-size bag of ice dropped on it. It smelled a little ripe. Where is this stand? 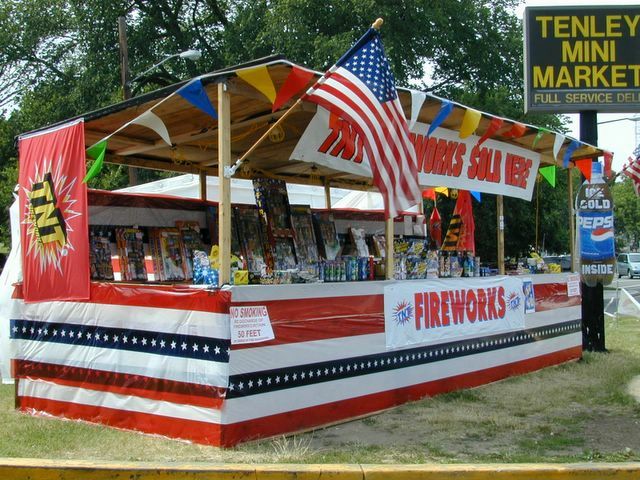 I live in DC and I want some sparklers! It's on Wisconsin Avenue, just a couple of blocks south of the Tenleytown Metro Station, by the Nebraska Avenue circle-thingy. It's in the parking lot of the Tenley Mini Market. Enjoy, you lucky DC dweller!! Outstanding to hear your lovely voice again! Got up this morning, remembered, then flicked the screen over to the Washington DC clock and saw I'd missed the live cast, so thanks for pointing out the archives!